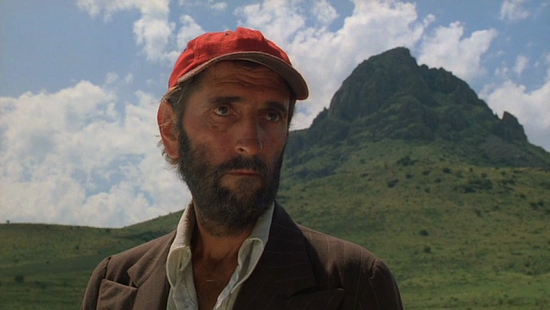 Paris, Texas is a profoundly beautiful film that certainly should belong to any film collection worthy of the name. It rewards on all levels- cinematography, story, acting, and heart - even soundtrack. The film takes you to an eerie and exotic place, both literally and emotionally, and maintains its high-wire level of vivid authenticity for each and every one of its 147 minutes. Put simply, this is filmmaking at its very best - Paris, Texas surely earned its 1984 Palme d'Or. Some movies are so delicate and emotionally nuanced that just talking about them runs the risk of them losing some of their power. Such is the case with Wim Wender's 'Paris, Texas', a part his ‘Road Movies series’. From Robbie Mueller's breathtaking cinematography to Ry Cooder's haunting musical score, everything in this film is an exercise in beauty. It's a work of panoramic beauty, one which chronicles the actual landscape, but also the landscape of the human heart. It conveys a disturbing yet gentle portrayal of desire, fatherhood, and loss with great lucidity and pathos. 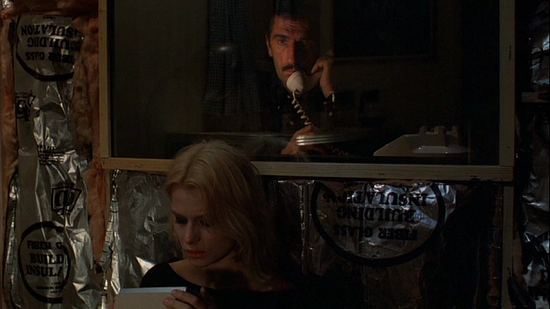 “Paris, Texas" comes across as the visual equivalent of a tone poem. 'Paris, Texas,' written by Sam Shepherd, is the story of Travis Henderson (Harry Dean Stanton), a loner and drifter with obvious psychological and emotional issues, who resurfaces after a four year absence. Where has he been? Nobody knows. 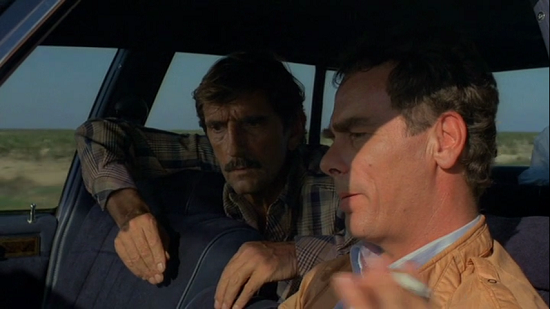 But his brother Walt (Dean Stockwell) picks him up from the dusty plains of Texas and drives him back to Los Angeles. While Travis remains mostly mute, he does reveal that he's purchased a small piece of land in Paris, Texas. Paris, Texas is where Walt and Travis' parents first made love. It's where Travis hopes to one day settle down. Once back in Los Angeles, Travis is reintroduced to his young son, Hunter (Hunter Carson), who has no memories of his father and only knows what his uncle and aunt (Aurore Clément) tell him. Walt has been taking care of Hunter since Travis' disappearance and he treats Hunter like his son. Travis has returned to rediscover his life and undo the past as best he can. As virtual strangers, Hunter and Travis begin to build a wary friendship and conspire to locate his estranged wife Jane (Natassja Kinski) who disappeared sending Travis on his own lost journey into Hades. We find Travis is a disaster, and emotionally vacant to everyone, even Hunter. The film takes us on an emotional rollercoaster as the mysteries unfold of what he may or may not have done in his past, what he wanted to do with his life and his motivations to put his family back together are slowly and painfully revealed. The last 20 minutes of this film is soul-wrenching, and in one of the most emotionally revealing and poetic conversations ever captured on the screen. The German director Wim Wenders (famous for "Wings of Desire", "Atlantic City", "Kings of the Road") makes in "Paris, Texas" the landscape as much a character as those we are following in the film. 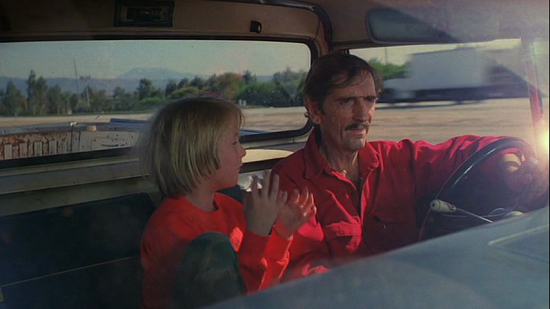 In Paris, Texas, very little happens - and it happens at a leisurely pace. Director Wim Wenders uses time opulently, painting nuanced details on a vast canvas; we're well into the movie before Travis (our protagonist) even speaks. The austere Texas landscapes Travis wanders seem haunted by an exquisite spiritual longing and emptiness, perfectly majestic and perfectly designed to torment him. With extraordinary performances from Harry Dean Stanton as Travis and Natassja Kinski (Daughter of the great German actor Klaus Kinski) as Jane, the film also boasts a soundtrack by Ry Cooder, ideally suited to the film's sun-bleached landscapes and melancholy undertones. Viewers who surrender to the spell of this movie will wear their emotions outside their skin; there is vulnerability, openness, and poignancy that is sometimes almost unbearable. This film is indeed a meditative piece on the loss of self, memory and Travis' attempt to reclaim what is lost after trauma. This is a gorgeous, absolutely absorbing movie that should not be missed. This is one of my favorites as well. I loved the way the father-son relationship evolved, the disapproval of the son initially when Travis wanted to accompany him to his school for the first time, and then the slow drifting towards him culminating in both setting off in search of Jane...Sheer beauty.